I am sitting with a new, charcoal face mask on my face, and watching Gilmore Girls, while looking at makeup that I sadly cannot buy. I have bigger goals than makeup right now, and plus I really don't need anymore. I have turned into one of those girls who literally needs a suitcase the size of a MACK truck to house my makeup. Embarrassing? Not really, considering I got most of that makeup for free, so happy dance. In other news that I am using to fluff up this post, I received my Lifefactory waterbottle. I am so excited! 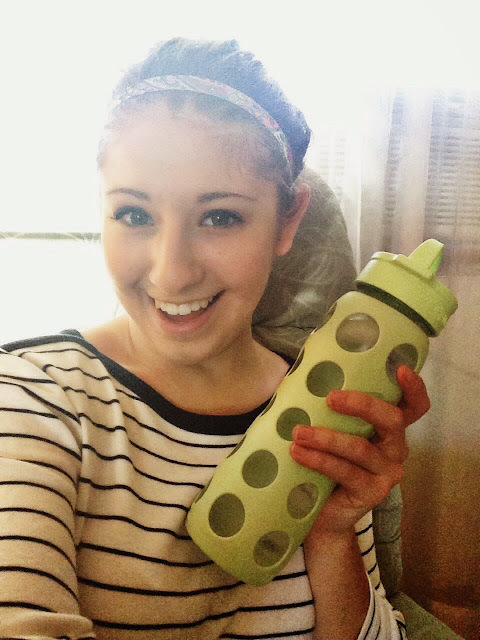 I have been admiring Lifefactory waterbottles for years, and I finally broke down and bought myself one. 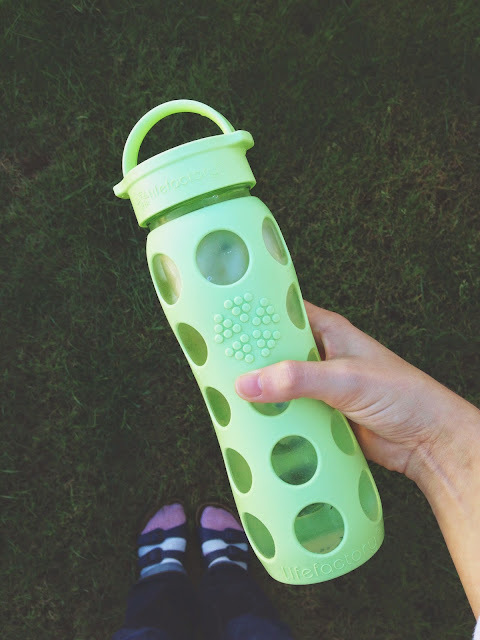 I am so very excited, and in love with my new waterbottle! I met a 93 year old woman today. I met her when I first started working at the retirement home, and thought she was probably 70, because she looks pretty great for being 93. I was taking the empty plates from her table, and we had a little chit-chat. She gave me the best advice that nobody really listens to, but I thought it was amazing. She said to remember the days that you are young, because they disappear someday, and don't get too busy because life is too short to work it away. Wow! I am definitely going to hold onto the advice given to me by this really nice, 93 year old woman. Another woman at the same table told me that I had pretty eyes, the work day today was wonderful! The whole day was great between receiving my waterbottle, getting a lovely compliment, and a great piece of advice at work, and ending the day with a face mask and Gilmore Girls (which is on NETFLIX now!!!). So, this is why I document even the little things, because I want to remember the times that I was young. The Saturday nights that I sat, and enjoyed my relaxing evening with my Gilmore Girls. Enjoy the rest of the weekend! It is much too short! Like life. That is great advice! Best you could ever get. Live life to the fullest. Xoxo!